Children in jeopardy dominate the shorts this year. The shorts and animation branch of the Academy of Motion Picture Arts and Sciences chose its final five from 140 qualifying films. In order to qualify for Oscar contention, shorts have to win an award at an eligible film festival. Last year’s winner, for example, Chris Overton and Rachel Shenton’s “The Silent Child,” debuted at the Rhode Island International Film Festival before going on to win the Academy Award. Many Academy voters don’t catch up with these shorts from emerging filmmakers around the world until they’re nominated. This year’s five contenders hail from four countries, and deal with a disturbing range of dark subjects, often involving children in jeopardy. Irish director Vincent Lambe’s controversial, true-life drama, “Detainment,” focuses on the shocking 1993 Liverpool murder of a toddler by two 10-year-old boys, who are interrogated by skeptical police. Jérémy Comte’s 16-minute Sundance winner, “Fauve,” also focuses on children enmeshed in terrible circumstances beyond their control. When Tyler (Félix Grenier) and Benjamin (Alexandre Perrault) explore a gaping mine, they step into a bed of soggy concrete that threatens not to let them go. 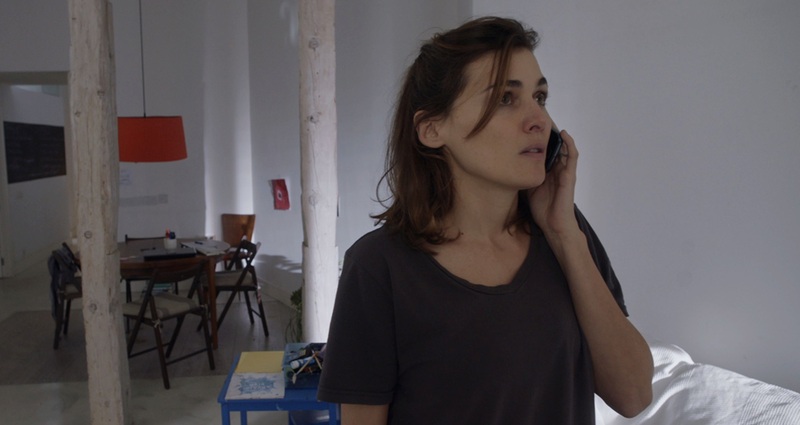 Rodrigo Sorogoyen’s riveting Goya-winner, “Mother” (“Madre”), follows an increasingly panicked woman (Marta Nieto) as her six-year-old son calls on a failing phone to report that his father has left him alone on an isolated beach. The mother tries to nail down his location as he reports that a strange man is approaching him. “Run into the woods!” she cries. Israeli Guy Nattiv’s creepy English-language “Skin,” about a family of skinheads, has already become a feature starring Vera Farmiga and Jamie Bell. Jonathan Tucker and “Patti Cake$” breakout Danielle Macdonald play the parents of a young son (Jackson Robert Scott). Fox Searchlight picked this one up, its fourth in recent months, to screen on its social media channels including YouTube. The short that is unlike all the others, French-Canadian Marianne Farley’s acclaimed “Marguerite,” stars Béatrice Picard as an elderly woman who bonds with her nurse (Sandrine Bisson) as she looks back at her past, stimulated by old photographs. This is the sort of poignant heart-tugger that older Academy voters love. Eric Kohn contributed to this report.